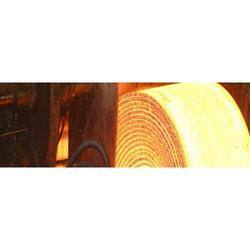 Our organization is indulged in offering Steel Plant Coating to our clients. It is suitable for application where temperature in the range of 800°C-1400°C are operative. Industries where it is suitable are steel manufacturing (rolling mills, forging unit), other type of kilns etc. Jai Ambey Indochem Pvt. Ltd.
- Structural coatings for aggressive environments like chemical fumes, high temperature environment etc. We provide Steel Colour Coating service to our customers. Our coating processes gives such products protection against flaking and cracking and are resistive to chemical and corrosion opposed. The presentations of our coating process add or suit to the solvent- based coatings. One can get our services at a very nominal rate. 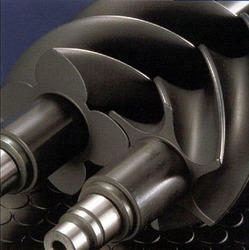 The range of PVD Steel (IPS) services by us is valued for their sophisticated designing and elegant finishing. These can be customized as per the drawings or specifications offered to us by our clients. Keeping in sync with the varying demands of patrons, we are presenting top class Steel Gate Coating services. Imparted with extreme care and precision, these presented services are applauded and applauded hugely for their promptness, reliability and promptness. Together with this, we are presenting this service in a number of altered as well as standard forms. We offer an attractive range of Stainless Steel Furniture Coating Services according to client's requirement. The powder coating service is in a lot of require for both residential and industrial applications. We offer the services with different specifications as per the need of our clients.